* What Does FAQ Mean? * What Do I Need to Put in MLS to Make Windsor HRN Work? * How do I change a Buyer's Status? * How do I setup Internet Explorer to print Contracts? * How Do I stop a Buyer From Getting Marketing Email? * What if it I get an error that says a buyer is Already added? * What if I get a message that a realtor is already added? * What do the Coupons Look like that are sent to A, B and C prosepects? How do I change a Buyer's Status? The buyer's status gets set when you fill in the guest form. You can change that status when you add a buyer event. Once a buyer is submitting a contract, then you would fill out a demographic form. This would change their status to SC, or submitted contract. At this point you can't change their status any more. They will show up on a Contract tracking form controlled by Bill, the sales Manager. He will accept or reject contracts and then eventually he will CAN or Close a contract. What Do I Need to Put in MLS to Make Windsor HRN Work? (if it has a roman numeral list it with a regular number, like Seagrove 1 or Midland 2) **See List below. This is necessary because it pulls from a text field and it would pull Seagrove III as Seagrove I and miss the other two. 6. 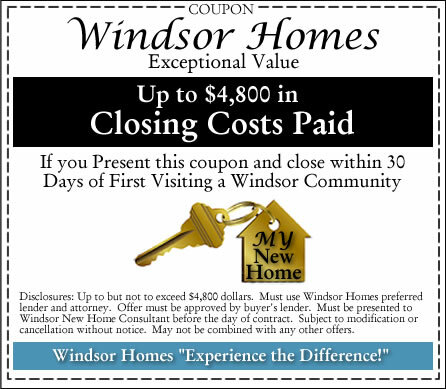 Please help watch your listings in HRN on the windsor website. Especially check price, lot number and status. 7. 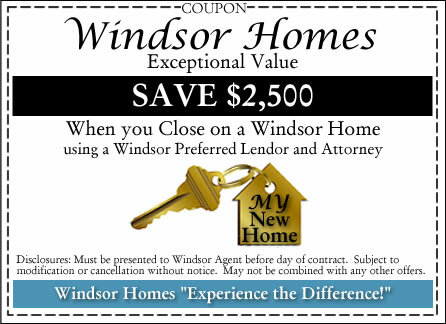 If you list a house with windsor that is general brokerage put a WREG all in caps in the notes and it will block it from showing on Windsor's HRN. How Do I stop a Buyer From Getting Marketing Email? Any buyer who has a status of P (protected), SC (submitted contract), UC (under contract), CD (closed) will not receive marketing emails. What if it I get a message that says a buyer is Already added? Do a buyer lookup to verify that it is the same person. If it's not but they have the same name, add a middle initial or name with the first name. If it is the same buyer, you should add a buyer event. What if I get a message that a Realtor is already added? Use the search on the realtor registration form to find the realtor's name. If you can't then look under Unregistered Realtors. If you find them there verify their information, especially license number, email and phone and register them. Note, If a Realtor uses the registration under realtor rewards or if they are added with the buyer guest for they will need to be verified. 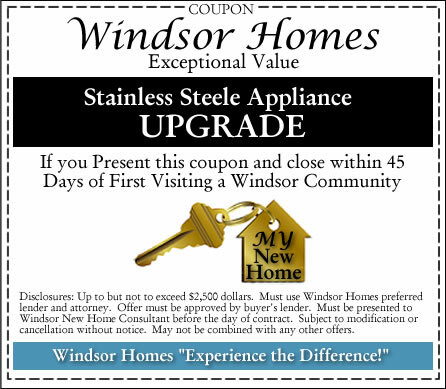 What do the Coupons Look like that are sent to A, B and C prosepects? Note: There is a check box on the Guest registration that will block email with coupons in them. How do you use PrimoPDF? It will take a few moments then the PDF will open. Where to Find the Title Inurance Calculator? Fill in Owner (Lender) Coverage amount and Mortgagee (Buyer) coverage (if loan isn't the same amount as the total purchase price). Make sure and check all three boxes for Alta (5, 8.1 and 9). Leave the last three boxes alone and click calculate.